Surrounded by a euphoric crowd and dignitaries across the world, footballer turned politician George Weah recently took oath of office as the 25th president of Liberia. 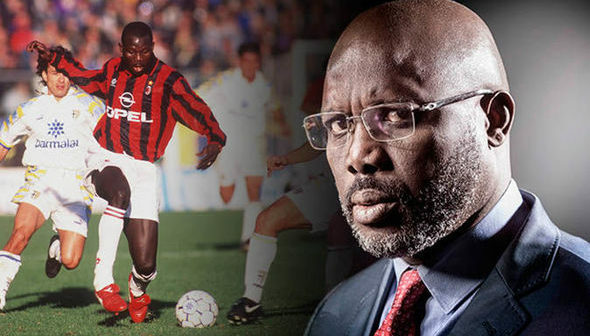 What was striking however, was the palpable enthusiasm from millions of citizens of the West African country who now see in Mr. Weah renewed patriotism and hope for a better tomorrow. While his predecessor, Nobel laureate and Africa’s first female President Ellen Johnson Sirleaf deserves accolades for transforming the shell of a country that she inherited when she took office, reeling from decades of armed conflict that claimed the lives of over 250,000 Liberians, poverty and diseases, the country of 4.5 million people is still struggling with chronic unemployment, systemic corruption, poverty and a general feeling of disenfranchisement among its citizenry. More than 54 percent of Liberians live in poverty, as the country ranks 177th out of 188 countries in the UN’s Human Development Index and is graded among the bottom countries in the 2018 World Bank’s ease of doing business index. About 60 percent of Liberian citizens are under 25-years-old, with a majority of them in unemployment. Despite the country’s ideal geolocation and inherent good climate and natural resources, it still imports 80 percent of its food. He will require the work ethic and tact he was well celebrated for in football pitches, only that this time the stakes are higher and millions are looking up to him to steady the ship and make Liberia count in the league of great nations. The true test of his administration will be in the words of his inauguration speech, to build a Liberia of equality, freedom, dignity, and respect for one another. Human dignity seems to have lost its value in the fanatic viciousness that took place in Afghanistan last week — a battle that has no winners. The unsolved murder of the Serb leader Oliver Ivanovic is streching the relations between Serbia and Kosovo. International aid hasn’t been effective in uplifting the recipients out of poverty and giving them a shot at a better life. Will the fight for diversity reshape the US senate? Will Chelsea Manning be the first transgender woman to ever be elected into the US senate? A radical drug reform has converted Portugal's drug mortality rate to become the lowest in Western Europe.